Dhangadhi is the main center for travelling across Far Western Nepal. It is the district headquarter of Kailali District. Lying on the border of India, it is a popular trading hub between Nepal and India. It is well connected with other major cities of Nepal and the Indian state of Uttar Pradesh. As for traveling in Dhangadhi, you may not find much places. However, to occupy yourself, visit the main market where you can enjoy some shopping. Have fun trying some foods at local restaurants. If you want to explore more about of the far west, you can visit Tikapur National Park which is one of the biggest park in Nepal. Going beyond Tikapur Area you can reach popular places like Karnali Bridge and Ghodaghodi lake. Khaptad National Park and Royal Shuklaphanta Wildlife Reserve are other attractions to access from Dhangadhi. They are the perfect hubs for watching wildlife. 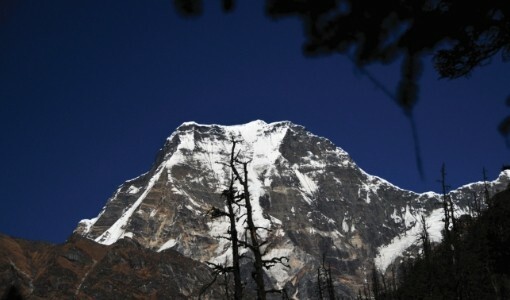 It is also the destination for going for a trek to API Base Camp in Darchula. Get the opportunity to see Nepal's first aircraft museum in Hasanpur. 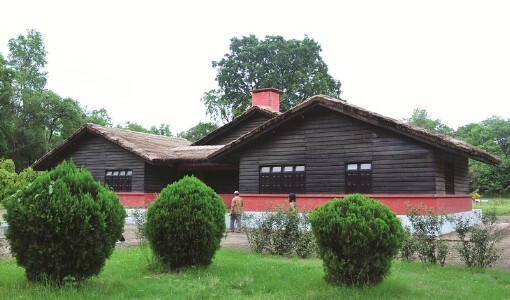 The museum was created by commercial pilot Bed Upreti in 2014. The museum is located just 15 minutes away from the main market where you will find miniature aircraft of different models. For a great refresh, visit the recently opened water park, "Fun City & Amusement." On the eastern edge of Dhangadhi lies Jokhar Lake, which you can reach in just 20 minutes. This is the best place to relax and a favorable picnic spot. It has various species of flora and faunas. Specific ayurvedic herbs are cultivated in this wetland. You can also boat around this lake and trek to forest areas. One of the best things about travelling to a place is to try the popular food of that area. 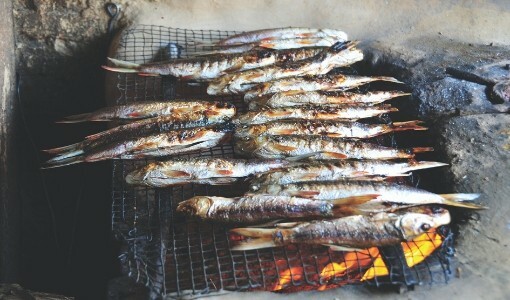 Try the popular fish of Karnali River at several locals hotels and restaurants. Do not miss the opportunity to taste Tharu cuisine and Ghonghi (a popular snail delicacy of the Tharu community) while travelling to Tharu villages. While at Tikapur don't miss to visit one of the Banana restaurants. Here, you can taste a variety of dishes made out of banana such as chips, Mo:Mo, finger chips, pancake, pickle, juice and even wine! An hour drive from Dhangadhi lands you to Ghodaghodi lake. There are nine different lakes of various sizes separated by marshland. There is a belief that God Shiva and Goddess Parvati used to turn into horses and circle around the lake. Hence, the name of the lake is also derived from the Nepali word "Ghoda“ which means horse. It has a number of endangered species such as Bengal Tiger, the smooth-coated otter and the mugger crocodiles along with different flora and faunas. Take a 2 hours drive from Dhangadhi and visit Tikapur Park. It is situated in Tikapur Municipality of Kailali District. The park was built by King Mahendra during poor health conditions so it is also known as "The Rest Place of King Mahendra Tikapur Park". This great and beautiful garden has become the top tourist attraction site. It is quite famous for its varieties of roses. Not only limited to its varieties of flowers and trees, you can also go for boating, rafting and swimming across the Karnali River flowing near the park. The most interesting thing you can find nearby the park is "Banana Restaurants". You can also see a huge cultivation of banana. Khaptad National Park occupies an area of 225 sq.km. The best thing about Khaptad is that it can be visited throughout the year. Each season has its own perk. During monsoon season of Jestha - Ashadh, you enjoy the beauty of wild flowers, but if you visit Khaptad during autumn season of Ashoj - Kartik, you get to see the magnificence of the Himalayas. During the winter season of Poush - Magh, Khaptad is covered in snow, but when you visit it during Chaitra- Baishakh, the rhododendrons bloom, captivating the traveler’s heart. From the crest of Khaptad, you can enjoy the sights of Api and Saipal mountains. 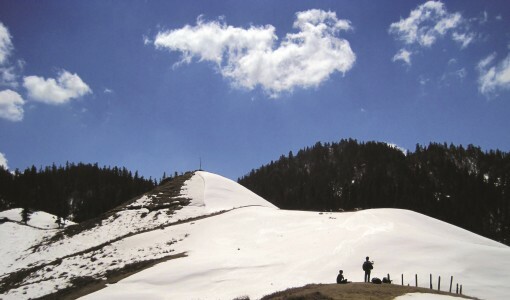 In the highlands of Khaptad, there are 22 open grounds and numerous lakes. Khaptad is known to have 372 species of plants and flowers and 125 species of herbs like Kalkut, Paachaule, Niramasi, etc. From the headquarters of Khaptad National Park, you can visit other destinations like Trivenidham, Khaptad Baba Ashram, Khapar Daha, Sahastra Linga and Ghode Dahunne. You can even go further into Rara Lake from Khaptad as well. Covering an area of 305 km2, Shuklaphanta Wildlife Reserve has the largest grassland in the Far Western Terai. Moreover, it holds the single largest herd of swamp deer in the world. As of the last survey of 2013, there were 2170 swamp deer. It has around 700 species of flora, 423 bird species and a number of reptiles and aquatic animals. Mugger Crocodile, Indian Rock Python, Monitor Lizard, Indian Cobra, Common Krait, Oriental Rat nake, Bengal Tiger, Indian leopard, Sloth Bear, Swamp Deer, Elephant and Hispid Hare are recorded here. To protect the endangered great one-horned rhinoceros, they were relocated to the wildlife reserve from Chitwan National Park. Mohana River is situated in the west of Dhangadhi city. It has more than 100 species of birds, perfect for birdwatching. It is surely fun to watch them flying around. Enjoy your time roaming around the bank of the river. Apart from the city, the surroundings of Dhangadhi is peaceful. You can enjoy the charm of terai life by visiting several villages. As Tharu people are natives of Terai, they have their own Tharu village. Visit these unique villages to experience traditional lifestyle, culture and cuisine of the Tharu people. Karnali Bridge is a single tower bridge connecting Kailali and Bardiya districts of Nepal. It is 1 hour and 30 minutes away from Dhangadhi. Constructed by Japan, it is the longest of its type in Nepal. Through the bridge, you can enjoy spectacular views of hills and landscapes with cool air breezing out. Karnali River has one of the finest stretches of white water in the world. It is the perfect location to carry out thrilling adventure of rafting and kayaking experiences. While at Shuklaphanta Wildlife Reserve, carry out activities like jungle safari, jeep safari and watching wild animals and birds. Do not miss to visit the Dodhara Chandani Suspension Bridge. It is about 2 kilometers from Shuklaphanta Wildlife Reserve. The suspension bridge is the longest bridge of its kind in Asia. As Khaptad is regarded as the confluence of nature, culture and spiritualism. Trivenidham, Khaptad Baba Ashram, Khapar Daha, Sahastra Linga and Ghode Dahunne is there for you to gain some religious experiences. Buy local and traditional souvenirs and visit the national park museum. The majority of people are Hindus followed by Islam and Christianity. People speak Nepali and the respective ethnic groups speak their mother tongue. Dhangadhi has several special festivals to celebrate such as Dashain, Chhath and Krishna Janmashtami. Various events are organized at different place of Dhangadhi at Dashain and Krishna Janmashtami. To observe Chhath, visit Mohana River. A huge fair is conducted for 2 days on the occasion of Chhath. Dhangadhi Airport is the sole domestic airport of Dhangadhi. 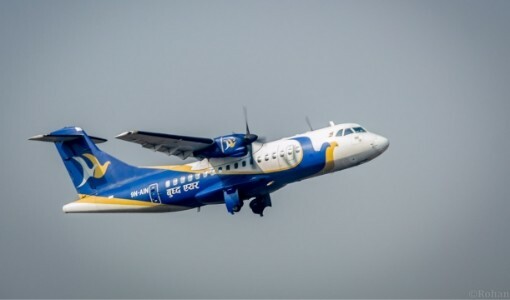 Buddha Air has daily flights between Dhangadhi and Kathmandu. The duration of Dhangadhi to Kathmandu flight is around 1 hour 20 minutes. Furthermore, Buddha Air has been authorized to conduct night flight services at Dhangadhi Airport implemented since 23 March 2018. A trip to Dhangadhi is unlike any other you will experience in Nepal. An unforgettable tour that will make your journey both religious and adventurous, filled with wildlife experience.